Chicago Open Air has announced its lineup for the three-day music, craft beer and gourmet food festival July 15, 16 and 17 at Toyota Park in Bridgeview, IL. Rammstein will kick off the festival weekend with a headlining performance on Friday—the group’s only 2016 U.S. performance and first Chicago show since 2012. Saturday will be headlined by Chicago’s own Disturbed, who have recently returned from a 4-year hiatus. Global rock juggernauts Slipknot will close out Chicago Open Air on Sunday. 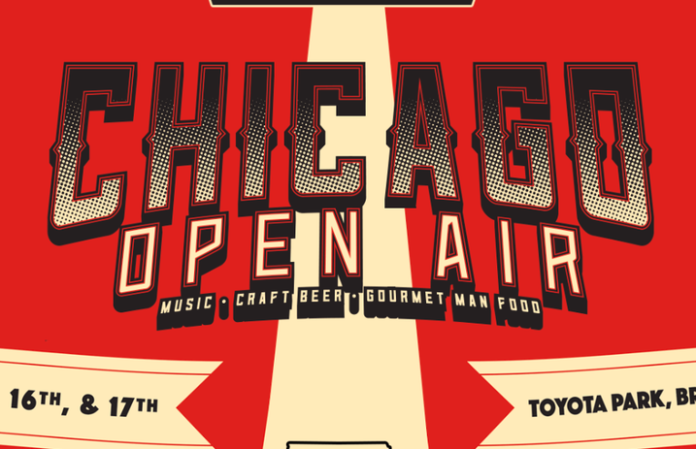 Chicago Open Air will feature performances by more than 40 bands, including Beartooth, Of Mice & Men, Asking Alexandria, Killswitch Engage, Chevelle, Korn, Five Finger Death Punch, Ministry, Breaking Benjamin, Marilyn Manson and many more. The festival also include Gourmet Man Food featuring local and regional cuisine, a craft beer village highlighting top brews from the region, other entertainment and fan experiences, and will be hosted by Jose Mangin from Sirius XM’s Liquid Metal. General Admission and VIP tickets are on sale here.